>Ladies, I give you Leopold George Christian Frederick, King of the Belgians. He was Queen Victoria’s uncle. If you ever saw The Young Victoria, Uncle Leopold was the one pushing the marriage between her and Prince Albert. 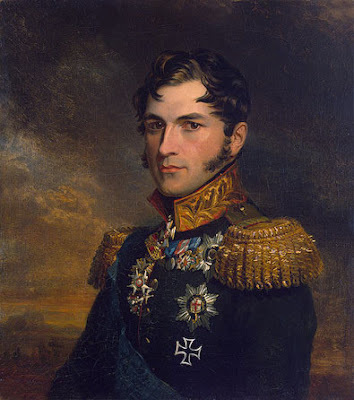 Forget the actor, the real Leopold was a stud! >I have Oscar's picture up in my office. It cracks me up the number of times that people have come through and commented on how good looking he is.